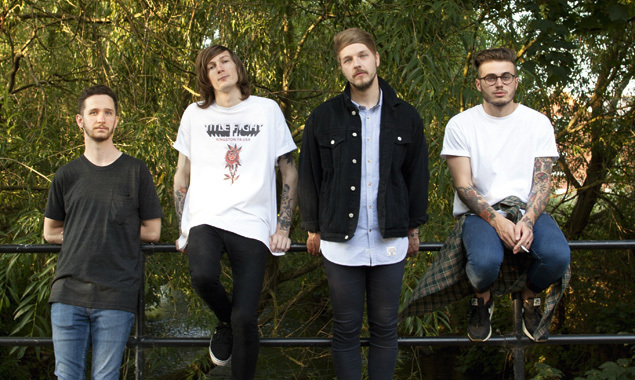 Moose Blood are an Emo band who hail from Canterbury in England. They are four mates Eddy Brewerton, Mark Osborne, Glenn Harvey and Kyle Todd. 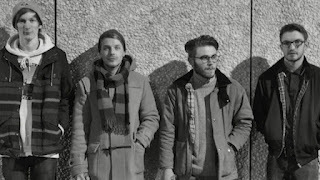 The band formed in 2012 and released their debut album "I'll Keep You In Mind, From Time To Time" a year later and saw it chart at number 45 in the U.S. Heat Chart. 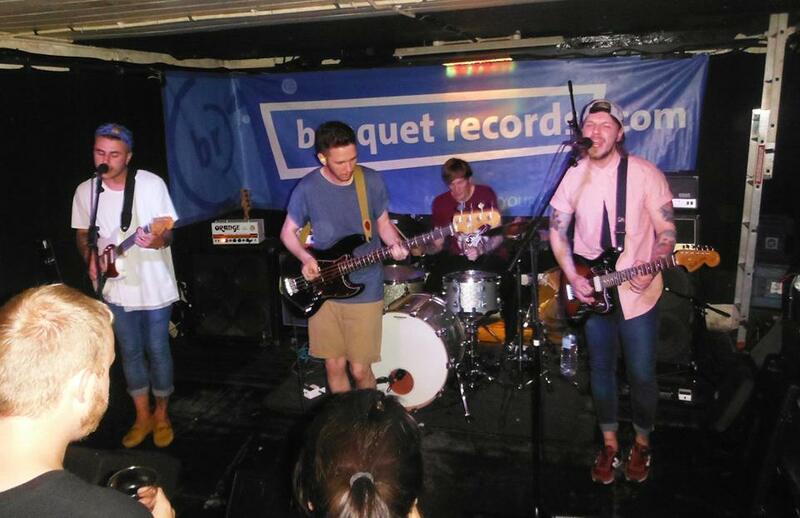 They are currently with their fourth label, Hopeless Records and have just released their second album, "Blush". 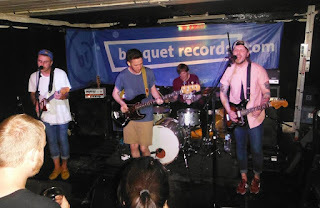 The first single from the album, "Honey" was welcomed with widespread critical acclaim being played Radio 1's The Rock Show and also claiming a Kerrang Magazine's nomination for Best Track at the 2016 awards. I have heard a few tracks since looking up this band and try to imagine a mash up of Blink 182, Sum 41 and Feeder and you will get an idea of the sound. Great Pop Rock tracks, feisty guitars and powerful vocals with hidden melodious harmonised gems. My favourite tracks were the aforementioned "Honey", "Gum" and "Swim Down". The songs are honest and cover a range of subjects, on the first album, "Kelly Kapowski" surely must be a reference to the character in U.S. teen comedy drama Saved By The Bell played by Tiffani-Amber Thiessen? People of a certain generation, like myself, remember this show and the guys would surely remember Kelly! The band are currently on a massive tour taking in the U.S.A., Germany, Australia, France, Holland, Belgium, Austria, Switzerland and Italy including dates in the U.K. The future looks very bright for these "four mates from Canterbury"!